•	Work within a highly experienced team of Psychologists and Social Workers. •	At least two years post registration experience in working within the child protection field, undertaking assessments and writing reports. •	Experience in undertaking assessments with children, young people and families. •	Willingness to accept guidance and supervision. •	Demonstrated understanding of child protection issues. •	Full registration with AHPRA. •	Current Working With Children Check (WWCC), or willingness to obtain. •	National Criminal Record Check, or willingness to obtain. •	ABN, or willingness to obtain. •	Willingness to travel across NSW, QLD and other states if required. •	Membership of relevant associations such as APS, AAPI, AASW. 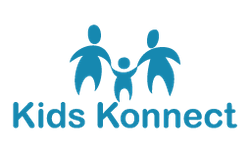 Kids Konnect Psychological Services undertake assessments, consultations and Family Group Conferencing across the child protection and out of home care field. We provide services in NSW, QLD, Victoria and WA. Some services may be undertaken with our partner organisation, providing for a greater scope of referrals. Wide variety of assessments, Flexibility of work, Extensive administration support, Marketing provided, Extensive range of resources, Cloud based technology to support your practice, Regular peer consultation and support, Work within a highly experienced team of Psychologists and Social Workers. Improve your chance to get this job. Do an online course on Psychology starting now. Hi Briget, Reach more people by sharing this job with your network.